Today was another busy day in Nashville helping my sister set up her new place. 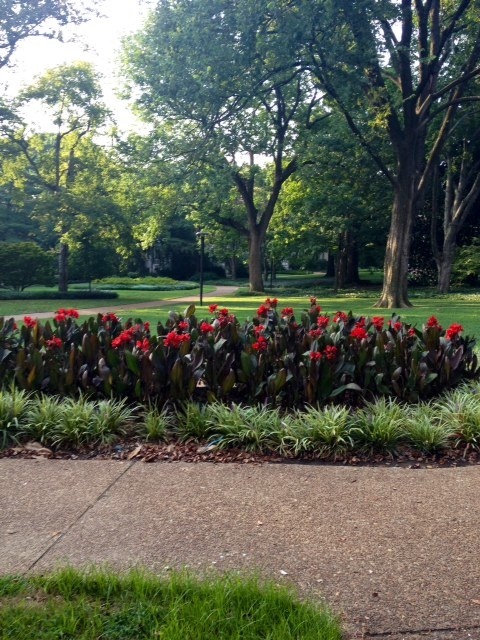 This morning, the family woke up bright and early to go for a power walk around Vanderbilt’s campus for exploring. Today is my rest day for 1/2 marathon training, so I figured a power walk would be a good option for light exercise. Walking around the campus made me very nostalgic. Although I just graduated from Miami University in May, I miss my undergraduate days. I miss all of my wonderful friends, the beautiful brick buildings, “uptown” with shops restaurants, and bars, and all of the experiences that came with being an undergraduate student. I am starting graduate school in two weeks, which will be a very different experience, but I am so blessed that I had such a wonderful undergraduate experience! Anyways…Vanderbilt was beautiful! Look how pretty this quad is! I love touring college campuses and learning about their rich histories and quirky traditions. Every university tells a unique story. Vanderbilt gave off a very friendly and quaint atmosphere which I love! My sister is a very lucky to be studying at such a great university! 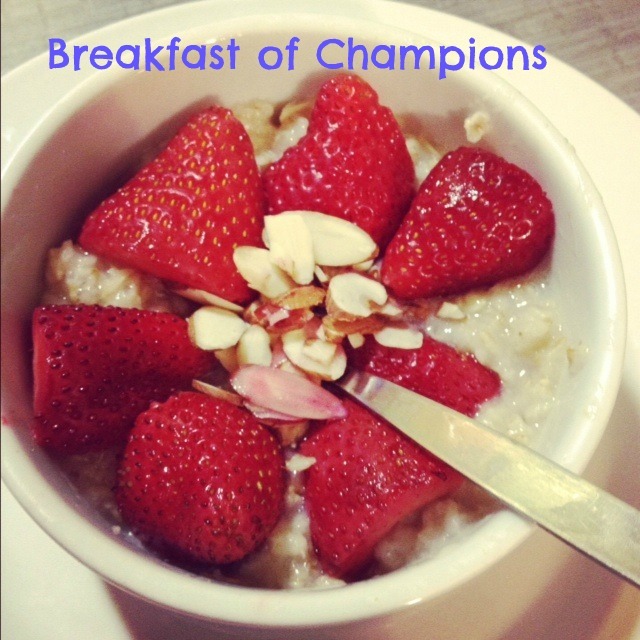 After our walk, I came back to the hotel and fixed up one of my go to breakfasts: oatmeal. Old fashioned oats are great for you and can be so versatile. You can basically add anything to oatmeal depending on how you are feeling! This morning’s toppings included fresh strawberries, honey, and sliced almonds. A great wholesome breakfast is the best way to start the day. Speaking of oatmeal…A lot of my friends and twitter followers have been asking me to post a recipe for Overnight Oats. What is Overnight Oats? Only the BEST breakfast in the world! Overnight Oats (aka ONOs) are simple to throw together and can be made the night before, making it simple to grab in the morning! My recipe for ONOS varies from day to day depending on what mood I’m in. It is so simple to add fix ins to jazz up ONOs. Here is my go-to recipe! 1.Combine oats, almond milk,honey, cinnamon, chia seeds, and craisins in a tupperware container or mason jar and stir. 2. Place covered in the fridge for at least 2 hours..but preferably overnight! 3. 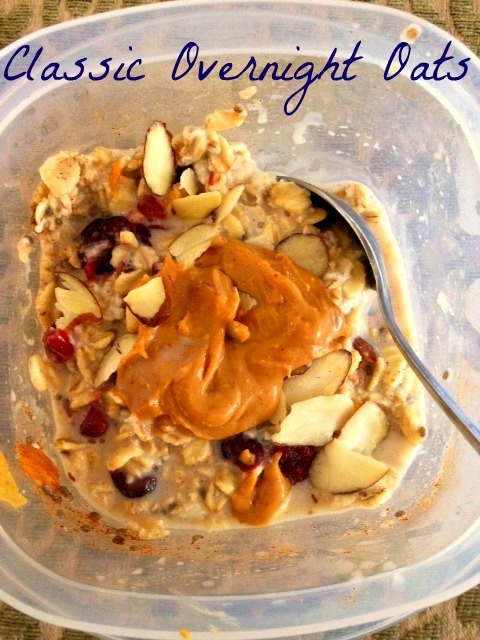 In the morning, add almonds and peanut butter on top of oats. I often add sliced banana to the mixture or strawberries to ONOs. The combinations for ONOs are endless so don’t be afraid to experiment! There you have it my friends. My simple recipe for ONOs is now yours! Let me know if you try this recipe or if you have any version of ONOs that you absolutely love. Hope you have a great night everyone! Tomorrow morning has an early morning run written all over it! Great recipe! Do I eat the oats cold? Yep you eat them cold! I know it might sound like a weird concept but I promise they are delicious! Glad you are enjoying Vanderbilt! I’m still exploring it myself. Yeah it is great! I’m not going here for school but my sister is! Great school and city!